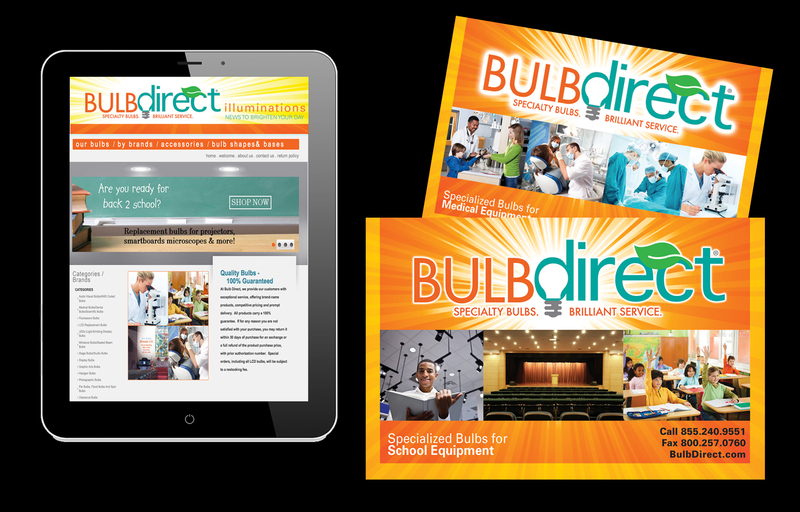 Bulb Direct was on a mission to attract more wholesale customers to its website. The company needed dynamic, eye-catching branding to match its vibrant personality. Through the Brand Boost process, I worked with Bulb Direct to concept and design a new logo and brand identity. The branding was then used to create custom collateral targeting churches, schools, medical companies, and more.